Once a will is written, signed, and witnessed, it is legal in most states as long as it meets state law requirements. To change a completed will, you must either add an amendment, known as a codicil, or destroy the will and create a new one. You cannot alter your will by simply crossing something out or adding something new. Writing an amendment to a will is a simple process that is legal as long as it is signed, dated and witnessed like the original will. Decide what needs to be changed in your original will. There are many reasons to change a will. There are no hard and fast rules determining whether you should make a new will or simply add an amendment. Generally, if you are making simple changes like adding a beneficiary or changing your executor, including a codicil is fine. If you are making more extensive changes, such as you might when you have a change in marital status, you may want to consider creating a new will. Write the amendment on a separate sheet of paper. You cannot alter your will by simply crossing something out or adding something new. The amendment should use the same wording as the original will when possible. Sign and date the amendment on the separate sheet of paper. In most states, you will also need two witnesses to watch you sign -- and to sign and date the amendment themselves. Any person can be a witness as long as he is at least 18 years old and of sound mind. If you are amending your will in Vermont, you will need three witnesses. Attach the signed and witnessed amendment securely to the original will. Store the will in a safe place. 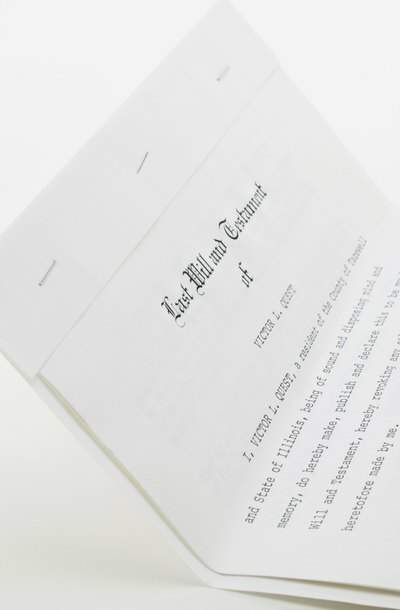 You may wish to give a copy of the amended will to your personal representative or your attorney for safekeeping, but tell them where the original is kept. Free Advice: When and how should I revise my will? It's not uncommon for will makers, known as "testators," to experience life changes that may necessitate an amendment to an existing will. If you wish to update your will, you must comply with your state's laws to ensure your amendment is legally valid. Although every state has its own set of unique statutes that explain how a will may be updated, certain requirements are customary.